In Syria, Government Lets International Media In To Make Its Case : The Two-Way Bouthaina Shaaban, an advisor to President Bashar Assad, makes the rounds to make the case that protesters are right about the need for reforms — and to dispute reports that the Assad regime is targeting opponents. In the beginning of the uprising in Syria, the government banned the international media. So, every report from the foreign outlets about what was happening carried the warning, "we can not confirm the information" because the media was scrambling to piece together the news from videos produced by the protest movement and government statements coming from Syria state TV. In the past week, Syria has reversed its position, allowing in a small group of international media under government supervision. NPR is among those allowed into the country. Bouthaina Shaaban, an advisor to President Bashar Assad made the rounds of the international media in Damascus today with a smile. She had a message to deliver — a change of tone for an embattled government dealing with a national crisis. Four months of protest has bought Syria international isolation and economic sanctions, an economy in tatters, and an alarming death toll. Syrian activists say more than 1,000 have been killed, a military spokesman says more than 400 soldiers and security police have died battling "armed gangs." In a hotel room interview, Shaaban said the government and the president recognize the legitimate grievances of street protesters demanding democracy and reforms. "Now," she said, "we are saying 'you are right, this is what needs to be done. Let us do it together.' "
Shaaban disputed that the government is targeting protesters, despite reports from activists and human rights groups that more than 1,000 have been killed in a widespread crack down. "It is our ultimate desire, as a government, of course, to put an end to the violence," she said. "But when you have extremists everywhere, going anywhere, killing people, obstructing roads. What do you do? The opposition should come and help, not only criticize." The government's insistence that armed gangs are responsible for the violence is undermined by eyewitness accounts of government security personnel opening fire on protesters. One resident in Homs, a mixed city of Sunni and Alawite neighborhoods, said he observed the gun fire on protests in a Sunni neighborhood and saw people fall as others scattered. Asked about dissident reports that the security police and the shabeeha, which describes plainclothes police, are shooting protesters, Shaaban said that there is an element within the protest movement that is armed. "Who is killing the security police?" she asked. "Over 500 officers and military and policeman have been killed and maimed and sometimes with their families their children. Who is killing [them]? I want an answer from the opposition, they have no answer." But she also praised the organizers of the street protests. "They have every right to be proud of what they have done until now," she said. But she wants the organizers to emerge from the underground and talk to the government. "I think it's a historic moment for them to sit at the table and reap the fruits of what they are trying to do." said Shaaban. Assad has proposed a national dialogue as a way out of the crisis. The first meeting is set for July 10. But so far the opposition, in Damascus and underground, has refused any talks with the government as long as the violence and the arrests continue. On Monday, about 200 Syrian dissidents gathered in a Damascus hotel to discuss reforms. This was a government-sanctioned meeting and many of the attendees had been thru an earlier call for reforms in 2002, when Assad first came to power. It was called the "Damascus Spring," but it was a short season. Some of the dissidents who were jailed then were now gathered again to consider negotiating with the government. The younger generation of activists made it clear that this group of dissidents did not speak for them. If the street protesters have gotten some concessions from the government, but nothing concrete so far, doesn't it suggest that they should stay on the streets to ensure the gains are real? 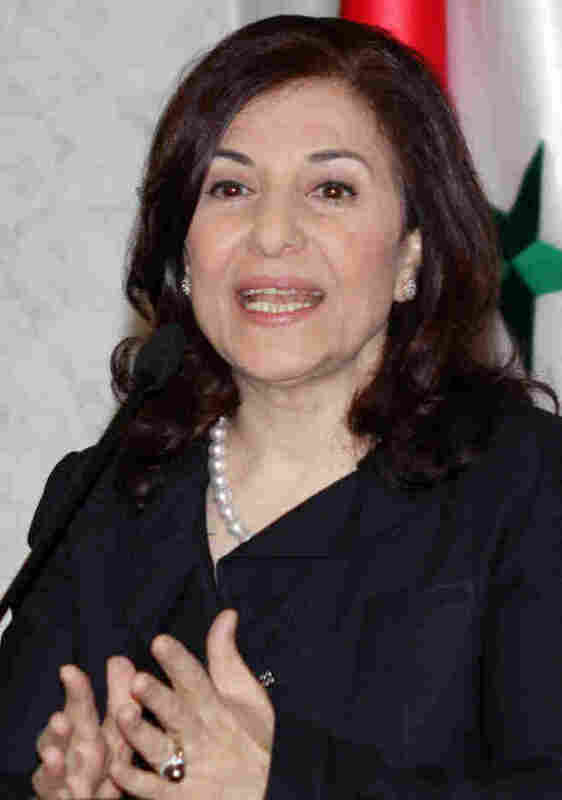 "Well, they are staying on the street to achieve what is on the table," said Shaaban. "What is at stake is the country. Because either we move into a democratic system, with full political participation, or a sectarian war is on the road."